Chorong uploads this picture on her Instagram. These idols are labeled as the most bashful members in their own groups. It's because the fans rarely see their pictures or interactions with any other idols. 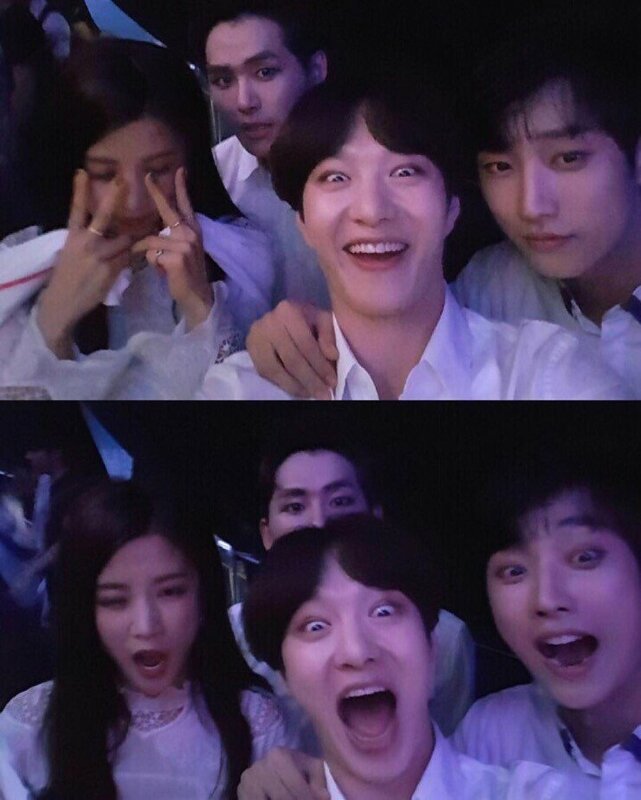 -I always get surprised whenever I see Jinyoung interacting with other idols..
-I can't imagine what will happen when Lee Changsub meets Lee Howon..
-Pardon me?? Changsub is one of the most bashful idols?? -Hul.. Now that I think of it, I don't think I have ever seen any pictures of them interacting with another idols..
-Whoa.. They're hanging out.. Good-looking people are hanging out together..
-What? Is that really Jung Jinyoung?? What in the world..
-I wonder how did they become that close..